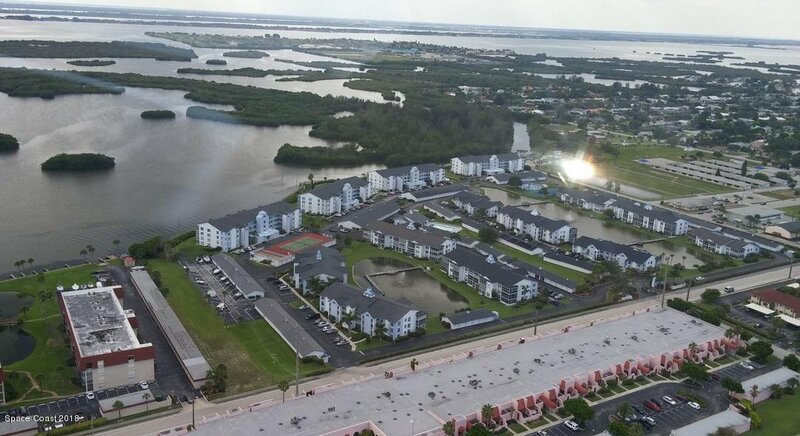 Enjoy living in one of Cocoa Beach's most sought-after communities: Harbor Isles! Very roomy and bright 3 bedroom condo with great lake views from your screened 2nd floor balcony. Even better YOU CAN WALK TO THE BEACH, just 2 blocks away. Eat-in kitchen with lots of cabinets. Fabulous lake view can be enjoyed from the large lanai and spacious master bedroom. Laundry room in unit. Wonderful amenities include 3 pools, tennis courts, boardwalk along the river, exercise room, pool table and clubhouse. Plenty of activities, too. You also get your own private garage. Insurance, water/sewer and cable are covered by the monthly fee. One dog or cat. 30# weight limit.